Question: There is a beautiful line in your autobiography that says, “A minute of kindness is more precious than one hundred years of austere penance.” It's a profound idea that brings these deep truths into something very everyday, every moment. Can you share a little bit about that particular lesson? You call this Service Space. I think another word we can use is Sacred Space, because I don’t see a distinction between service and sacredness. Think, first of all the space has to develop. Space, which you put second, is perhaps the most important thing, because that space is required for anything at all. Once we are full, then nothing can be added on. So, space is humility. It’s the understanding that we don’t know. You asked me about a particular part of my autobiography where Mahavatar Babaji, my Guru at the time, said this. In the autobiography, I mostly speak about Maheshwarnath Babaji, my personal Guru in this life. Remember that the autobiography starts with a story -- it’s not happening now, in this life. For those that haven’t read, it’s a story about somewhere in the Himalayas near Pandukeshwar where a family has settled down there for many generations, very orthodox Sama Vedins. In that family there is a young man who from childhood is more interested in going deeper into meditation and touching the space, rather than the scholarly achievements of his father and grandfather and so on. This family is known to a great being in the Himalayas -- I am especially using the word being because I do not think this being has been born in somebody’s womb and is like us. Nobody like us can live for 1000 years or so. It’s not possible with this physical body, whatever we would do. Swami Yogananda Paramahansa wrote of this person for the first time in Autobiography of a Yogi and referred to him as Mahavatar Babaji, but bear in mind, he did not write anything about the genesis of this person. “Mahavatar" Babaji because many manifestations have come and gone and here is somebody who is there for a long time -- so “Maha,” big. For hundreds of years this particular being is known in different traditions as Sri Guru Babaji. We also refer to him as Sri Guru Babaji. It is the Nath Sampradaya that is primarily responsible for saving Yoga from being overtaken by pure philosophy (starting from Adinath, Matsyendranath and so on). Gorakhnath is the most famous person in the Nath lineage. Most of his texts are even today read as the curriculum for the Nath Sampradaya, and Gorakhnath’s most famous work is the Siddha Siddhanta Paddhati. It’s boring in a way, but very interesting. You have to have a teacher to sit down and learn the Siddha Siddhanta. Then there is, of course, the simpler Goraksha Shattaka, the Gheranda Samhita, the Shiva Samhita. These are all Nath Sampradaya, including the Yoga Pradikipa of Swatama Rama. Some people call it the Hatha Yoga Padikipa, but I would stick to the Yoga Pradikipa. I can’t distinguish between Hatha Yoga and any other Yoga. So this great being, most of the Nath scriptures open with a tribute to him: “Om Shri Gurubhyo Namaha.” Gorakhnath says also, “Om Nithyanathaya Namaha,” which means that Nath which is there forever, which is a reference to Babaji. So this young man I talked about, who came from this family of Sama Vedins, became a disciple of Babaji at a very young age, since Babaji frequently visited their place. After a great deal of training, he could attain or achieve higher levels of consciousness where he could sit down in Padmasana (full lotus posture) and go into a deep trance for long periods of time. One day, while he was sitting in meditation on the banks of a river in deep meditation, another character appears in that area. He is actually a Sufi practitioner whose teacher, whose Sheikh (teacher) told him on his deathbed, “Whatever I could give you, I have given it to you. Now you go to such and such an area in the Himalayas, you will find a very young yogi there. He should be your guide now. Find him, and learn from him.” Look at this, two completely different traditions in one way, and yet coming together. That’s why I believe that the depth is more important than the religious traditions as such. It doesn’t mean you have to shift traditions -- for each person it may be suitable. The Sufi says, “If you don’t guide me, teach me now, you know what I am going to do? I’m going to commit suicide. I am going to jump down the rocks into the river.” The young man says, “You can do whatever you want, I want to meditate. Go! I don’t care.” So this man actually does what he threatens to do. He jumps down the river and he dies. His body carried below the water. In the end, when one touches That, all teachers have only talked of compassion. You may not be able to touch it right away, but whenever you do touch it, that is when you learn that compassion is the most important thing. So how much have you developed? Not much has developed. So in this context, Babaji had said that one act of kindness is equivalent to one hundred years of tapasya (penance). Who is this boy is a mystery, doesn’t matter. [The boy is him.] Could be anybody. Question: Your teachers instructed you to come back and lead a householder life, but they also told you to go visit different organizations, religious groups, spiritual groups, and you have met so many people. What would you say is one thing that is common across all these great souls and spirits that you met? Sri M: One thing I noticed among all these great teachers who I have met is that they were not cultists. They don’t belong to a cult. They were people who said this is our path, this is the other teacher’s path; all are making spiritual progress in their own way. It cannot be that the same path would suit everybody – it’s not possible, because we are all made differently. And therefore, if you need help from us in some way we are ready to give you, and that does not even mean that you need to convert. I have met many teachers about whom I have written, as well as many who I have not written. Some for a short while and some for a longer period of time, and I have found one thing that distinguishes a great spiritual teacher is that they are transparent. They don’t say one thing and do another. And they are kind – they are kind and compassionate. And thirdly, they believe there are different ways to the truth, provided that it consists of some kind of purification of the mind. Ours is not the only one. See even in the teachings of Vedanta. You know, people think when you say Vedanta these days everybody thinks only of Adi Shankaracharya, Advaita philosophy. Vedanta is very big, and in fact, in India, unfortunately, if you say Vedanta people don’t ask you any questions – they think only Vedanta, ah, Shankara, ok. Once, many years ago I happened to go to Harvard, in the philosophy department, and there was a small group of people, some professors, and I said “Now, according to Vedanta …” and one of the professors said, “Sir, which Vedanta are you talking about? Are you talking about Madhava Dvaita? Are you talking about Ramana Acharya’s Surishta Advaita? Are you talking about Shankara’s Advaita?” All this is Vedanta, believe me, all this is Vedanta. So even in one thing called Vedanta, there are so many approaches, and they may be needed for people of different categories and different stages of evolution. In the same way, if there was only one way then the supreme energy would have found a way to make only one way. The very fact that there are many ways existing proves that there are many ways to the truth. So this is one thread that I found in all great spiritual teachers. They would not say somebody is wrong. They would say pursue it for a while and figure out for yourself. So, having met so many people, what I have found among them as a common strand: one is humility; then, clarity in thought, no hypocrisy; and above all, kindness and compassion, and a commitment to take you to a spiritual level and not to take anything from you. This commitment is very important. You start from an iconoclast like Krishnamurti, and come down – I’m not saying down in the sense of up and down, I am talking about somebody who breaks all the images, or tries to at least. Then, to great monks of the Ramakrishna order who have a certain order. Even though Swami Vivekananda was a great iconoclast, he did have a certain structure to adhere to. I have met many senior monks of the Ramakrishna order. And I have lived with Maheshwarnath Babaji who was of the Nath Sampradaya, which is in a way quite caught up in certain forms and structures. In fact, the Nath Sampradaya traditionally you have to puncture your cartilage and puts two rings in your ear, they are called Khan Phattas, those whose ears are torn. Babaji did not ask me to do that. He said it’s not required for you. He said, can you imagine going to the modern world with these things hanging in your ears? In fact, following the custom I had to wear rings, Kundulas. You can still see the holes. Babaji said to take it off; there is no need to distinguish. Sometimes I put it on, sometimes I take it off. What I mean is, I didn’t find any rigidity in any of these spiritual teachers. There is no rigidity. Then of course, I had the great opportunity on the other side, of meeting His Holiness the Dalai Lama personally. He came to Delhi for the teachings, and I had not started my walk, so I decided to try to meet him. You know one thing -- the greater you become, the humbler you become. I’ve seen this in many people, including Krishnamurti. Then we had a beautiful discussion about various things, and finally he said ok, so I gifted him a copy of my autobiography, and he said, “Sign this, because I have a book for you and I have signed it.” So I signed it, he took it and put it on his head. I have a picture of that. And then he put it down. I completely don’t know what to say, and I was just sitting there, and then he says, “Look, you know I can’t walk.” And I said, “I know.” His knees are in bad shape. Then I took off my shoes and he said, "Look, I am not taking off my shoes,” I said, “It doesn’t matter.” Then we had a chat on various things. When we touched the verge of philosophy, I said, "Your Holiness, I think now you let me walk." So he said, “I invoke all the Boddhisattvas to bless your walk.” And then he asked me if I was going to Dharmasala, I said no, and he said, “oh, ok”. And then it was time to go because there were so many people, including diplomats, waiting outside and then he said, "Wait!" He put his hand out to stop me. He has strong hands, you know? So, I sat down. He said “Hey, you know what, I wanted to talk to you about something. I heard from Rajiv Malhotra that you are very deep into Upanishads,” and I said, "Not so deep," and he said, "That's good." (Laughter) Then he said, "So tell me, what Upanishad do you like most?" I said "Nothing like that, but my Upanishad which I learned over and over with Babaji, with my Guru, was the Kena Upanishad because the word itself means, "Who?" It starts with: "Who?" So can there be 2000 years ago an Upanishad called the "Who Upanishad?" Who on earth are you? Who the hell are you? [laughter] So I told him it's the Kena Upanishad. He said, "Ahh, right, so, what does it say about the supreme truth?" I knew what he was trying to say, so I recited [Sanskrit recitation] this statement from the Upanishad. It means, "That which even the mind cannot reach, because of which the mind owes its existence, to know that alone is the Truth. Nothing that you worship." This is from Kena Upanishad, Sama Veda. So he said, "Ahh, that's what I want. So the mind cannot reach there?" I said, "No." He said, "So what is it to do with us?" [laughter] "Well then I'm not interested in the Brahman, because the mind is my only instrument. If the mind cannot reach, so what happens? I have nothing to do with it." I said, "But, your Holiness, it means the ordinary mind," he said. "Yes, then you should say that, ordinary mind." I said, "Yes, now I understand. The ordinary mind cannot reach there." So there was some other discussion Shunyata and Purnata. The Buddhist concept is Shunya (emptiness), and I was saying that Shunya is not different from Purna (completeness). Shunya is called Shunya because there is no word to describe it. No way you could understand it with the limited mind. Yes, I am now very careful of the word I use to describe the mind. [laughter] Finally I took leave and he came up to the door. See? This is one example of the humility of a great person, of a great being, someone who is not only spiritual but temporal head of a state, and so on, and a Tulku, a reborn Rinpoche. This is on this side. But here, Buddhism has various orders and hierarchies and rituals. Look at Krishnamurti on the other hand. Nothing is there, right? Nothing. I spent the last few years of his life with Krishnamurti -- I was close to him. So, one day, I went to one of his talks, in the headquarters in Chennai. At one point, he said, "Throw all your holy books into the sea," he said: "There is nothing in them." I got a little worried about this. [laughter] And the next day he said, "You know something: I've not read any of these books!" So I said to myself, "Now this is a contradiction, I can't let it slide, I have to ask him." But I can't do it in public because there are so many people. You must understand I was 23 yrs old, maybe 24, and here was a man who was nearly 90. In the evening, I was supposed to take an Ayurvedic oil to him, as he has bad knees. So I went up, I said, "Sir, 5 minutes?" He said, "Yeah, sit down." I said, "Sir, yesterday you said these books, there is nothing in them, throw them into the sea, and today you said: 'I haven't read any of them." I said, "Sir, this is a contradiction, you cannot say this. If you have not read them, you wouldn't know what is in them, right?” I mean, it's so simple. You know what he said? "Sir, I don't need this, I don't need any of this." I said, "That's a different matter, you don't need any of that, I understand, maybe you don't need. But there are others who might, and when you speak people take everything as gospel truth, so you have to be careful what you say. I can say something and get away it, but you can't. You have to think." And I'm saying this to show you his humility, like His Holiness. Now the reaction could have been, "Shut up, what do you know?" I was a young man. Do you know his reaction, though? He said, "You are right, sir. I think I should think before I speak!" These are the distinguishing marks of a person who has grown up on the spiritual path, you know? There is a species of people called "Krishnamurtites." They would be offended, but he was not. Now, we have come to another established order, like the Ramakrishna Mission. I met two of their stalwart swamis of the Ramkrishna Mission. One was Swami Ranganathananda who has spoken a lot, written a lot on the Upanishads. When I first went to join, because Babaji told me to go and spend some time in the Ramakrishna Mission. I said, "How?" He said, "Go and apply." So I joined and I was in Belur Math for some time and Swami Ranganathananda came visiting. He was not the president then. I remember him as a tall thin austere looking man with a Brother typewriter in his hand, because wherever he went he used to write. He called me to his room one day and he said, "I need to talk to you." Then he said, "From Kerala?" I said, "Yes," and then he spoke in Malayalam. He said, "You know, don't be under any illusion, that you have come to an ashram, so everybody is a saint. No. This is a small community, so when there is a small community, there will be politics, there will be groups, there is everything here. Please don't think you are in heaven. But, if you want, all facilities for you are also there. It's for you to choose, you want to develop, or you want to join the groups. Stay away. If you have any doubts, talk to the old monks who are in the order. Don't get caught up in this thing." I thought that was a very profound thing to say to a young man who has just joined. Ok, then about not distinguishing between outward expressions of religion ... The vice president of the Ramakrishna order, Swami Tapasyananda. I had known him from high school when I was in school in Trivandrum, he was heading the ashram there. Wonderful man, I had studied a lot from him. 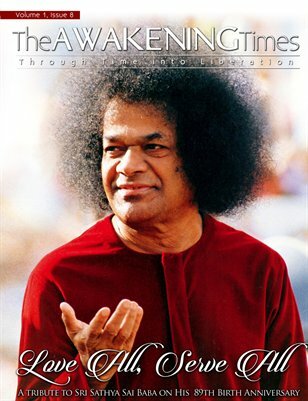 Many years later, 1983, he was living in Chennai in the ashram. He was already the vice president. Now, you know, in the Ramakrishna Mission, apart from the general teachings and all that, there is an initiation. You have to be initiated, and the rule is, or was, that only the president of the Ramakrishna Mission, who sits in Belur Math, can initiate since he is supposed to be linked to Swami Vivekananda himself and to Thakur, which is Ramakrishna Paramahansa. They are the only people authorized to give initiation. It is basically a simple mantra, but much more important is the link that is established. In Buddhist terms you can say empowerment. You can go and read any book and stand on your head and practice anything you like, but without an empowerment it's not possible, so it's like this, similar. So, they have an initiation I had not taken. I had spent years in different parts of the Ramakrishna Mission but I had not taken initiation. For some reason, it didn't work. I went once, and something happened, I had to be posted out, and so on. I knew some very senior monks, I knew the president who was a very great man, but in that time I couldn't get initiation. So anyway, in 1983, I went to the Belur Math Ramakrishna Mission and found that Swami Tapasyananda had become the vice president, and I went to see him. He asked, "You've not been initiated right?" I said, "No Swami, I have not been." I said, "If I could have got initiation, I would have thought you should initiate me, but then unfortunately in the Ramakrishna Mission only the president can give." He said "Who said? The rule has just been changed, I can initiate." [laughter] Apparently, a month before they changed the ruled and said the vice president can also initiate. So I said, "Now what to do?" He said "Come in 3 days, Gurupurnima, and I will give you the mantra." I was thrilled beyond measure, I didn't expect it. And then he said something very interesting, since he knew me from childhood and knew all my background. He suddenly asked me, "Do you pray five times a day?" I said, “No, I haven't for ages. Why do you ask Swamiji?” He said, "Because I pray 5 times a day, it's very good exercise." You see? This is a mind, an expanded mind. So I have met so many people like this. I met the people that belong to complete dualism, like the Madwas -- it doesn't matter, these are all different strands. The most important thing I understand as much as I know is that you should be sincerely seeking after something and accept nothing but the best. To seek, first you need to follow rules and regulations and develop a compassionate mind. I don't think the mind can be purified by sitting for an hour quietly, or ten hours, or half a minute. Well, you can become aware of your mind, of course, mindfulness. But you have to practically act in a kind way, not just theorize about that. In fact, among the Jains, Ahimsa is a physical act, not a philosophy. They say the greatest dharma is nonviolence. Mahavira said, "Every living being loves his or her life, and you have no right to take it." The moment you begin to think this way, you have to become kind -- you can't help being kind. This kindness, Ahimsa, now that is Jain. In the Yoga Sutras of Patanjali, there is not even a God mentioned, there is no Iswhara, nothing is mentioned. What is yoga? (First stanza) The stopping of, the clearing of the distractions of the mindstuff is yoga. So what is the first rule to be followed? Ahimsa. I hope you all know that Yoga is called Asthanga Yoga in it's orthodox sense of the term which Patanjali wrote. This reminds me, once in Wisconsin I went to address an Asthanga Yoga circle. I thought to open we should ask a question, so I said, "I am sure you know who is the founder of Ashthanga Yoga?" They said "yes," and I said, "who?" They said "B.K.S. Iyengar." [Laughter] I said it is Patanjali. Well, he was a great teacher, no question about that. So, even in Sankhya, in Yoga, in all modes of philosophy, you may say that you cannot dissolve and there is only the supreme being, nondual. You may say, “Well I can merge with the supreme being, Vashishta Advaita.” You may say, “Supreme being is always there, all I can see is the reflection of the supreme being.” But everybody agrees that the mind has to be purified. Everybody agrees that you have to evolve. Everybody agrees that you have to become less selfish. Everybody agrees that you shouldn't harm others. This is common. After that, when your mind is purified, you can decide. Once, one person came to Babaji, my Guru Babaji, Maheshwarnath Babaji, and he was an Vaishnavite, you know how the orthodox Vaishnavaite like ISKCON for instance, has markings (vertical lines on forehead), came and said, Babaji, I know you are a great being, but according to you who is the supreme God – Vishnu or Shiva?" It's an outstanding question to ask him. [laughter] He said, "There is only one supreme reality, you may call it Mahavishnu, someone may call it Shiva, it doesn't matter." He said, “No no, I believe that the supreme reality is Sriman Narayan Namaha Vishnu.” Babaji said "Ok, at the moment, what is your situation?" He said, "I am an aspirant. I want to have the Dharsan of the lord." He said, "Ok, so what do you see right now?" He said, "I see the feet of the lord." He said, "Good, you can see the feet of the lord, alright. So finally when you develop and when you see the head, then you can see if the mark is this way or this way (vertical or horizontal) Why are you discussing this now?" [Laughter] The most important thing is that. To develop, to move forward. Question: Your life has this quality of an untiring mind, that you continue to serve, even to think of doing a country-wide walk at the age of 68. In your autobiography you had this moment where you heard an inner voice say, "follow the Bodhisattva path.” The Bodhisattva path is the path where you forsake your liberation for the sake of helping others. Can you share more of your understanding of the Bodhisattva path? Sri M: You know, when you say Bodhisattva, there are two distinctions in Mahayana. The Sutrayana, also known as Theravada Buddhists, don't have a concept of a Bodhisattva. One attains perfection and becomes and Arahat. Arahant means perfected being. One who has touched nirvana has become an Arahant. Even the Jains pray to such a one. The Bodhisattva concept is that one has crossed over, almost. One foot is on the other side of the border, the other is here. It's not as if you haven't touched the other side. It's not that you have given that up. It is there, because without that basis it is tricky. Without that basis, you cannot do selfless work -- it’s not possible. So one foot is there. What the Buddhist scriptures say, one who has crossed on the other shore has not fully crossed, he hesitates, he says "My God, there are so many people suffering, let me go back and take a few with me, at least." And teachings of Boddhisattvas also speak of compassion: at some point or the other any living being could have been my mother, in the past. So may I feel the thankfulness for looking after me, and take them also to nirvana. When such people decide to keep their complete nirvana in a kind of a closed door with a key, and decide to do serve, they don't lose energy. How can you lose energy? Because you are working from the source of all energy. It is not as if you are giving away something and it is exhausted. If I have ten pens and I give away nine, when I come to the tenth one, I would hesitate and say, "Oh there is only one left." In this particular discussion we are having, there is no such thing. There is nothing to hold on to. You get what I mean? Since there is hardly any self-centeredness – there is a little bit of course, since the human body is there – there is no loss of energy. There is no loss of vitality. It's still quite ok. I told you I am 68. The body is 68. If I had spent maybe more energy to keep the body young, it could have been younger, but that is not the main thing in this path right? But the very fact that something has been touched keeps the body energetic, if not completely young. There is a lot of energy which is not dependent on food, for instance. I think every single human being can be that way. We need to just cut out the selfishness a little bit. A little bit. Every day think of yourself, but sometimes also think of others, at least, to start with. That is why I am very thrilled to hear you call this Service Space. Service Space according to me is sacred space, and in that space, Akasha, all energies are concentrated. Question: Can you share a little bit about the walk that you just did last year, and maybe what was one core lesson that stands out? Sri M walked for thousands of miles across India, and met with tens of thousands (if not more) from across so many different interfaith backgrounds. Sri M: This walk actually started in the Himalayas, many, many years ago. One day suddenly Babaji turned to me and said, “After some time you'll have to walk from Kanyakumari to Kashmir.” I said, "Babaji, why should I walk from Kanyakumari? What for? I'll walk with you, I'll come with you wherever you go, why should I ..." He said, "You have to do it, it's part of your work," so I said, "But I don't want to do it." Who wants to go, you know? It's not the physical tiredness that I was worried about, I said, but "for what purpose, all this walking?" And then the second sentence he said was worse, he said, "There will be lots, hundreds of people walking with you." I said, "No!" Basically I love to be alone, honestly. I said to Babaji, "I don't want to do this, I can't do this." Then he asked me a very important, pertinent question; he said "Last year when you first came to see me, I asked you, what do you think of yourself in relation to me?" It's all in Hindi of course; it sounds more interesting in Hindi. So, I said, "Babaji, yes, you did ask me." “And what did you reply?" I said, "I am your puppy." [laughter] "You said that?" "Yes" "And what did I say to you?" "You said, you may be my puppy, but don't shake your tail too much. Did I say that?" I said, "Yes Babaji" He said, "Don't shake your tail. Do as I say." So it was in my mind, and I just could not bring myself to do it for so many years, decades, but it was inside my mind, eating me up saying you haven't done what you said you would do at some point. When I turned 66 I said to myself, if you don't do it now, you will probably break Babaji's promise, and you know what happens – you will probably come back and keep walking all your life. [laughter] No, true. I was very worried about that myself. So I said to myself, I think we should do it now. It started in a very strange way. I said to some friends of ours, look I'm thinking of walking from Kanyakumari to Kashmir, because I want to get people together. People have split in the name of religion, caste, creed, community, ideology. I said let's get them together. Basically we are human beings. I want to do this, I'm going to walk. Actually I thought he would say, "Are you crazy?" But he said "I'll walk with you." So when I heard this, a very responsible man who retired as the chief of police in Karnataka, I really thought he would say I am a madman, and he also said he would come. Within a few months, so many people came together and said we are also with you, we are walking with you. Then I thought there may be a problem from the political side, so I went and met with people of all ideologies and all political parties including the present prime minister (who was just about to be prime minister then). Everybody agreed that it's a wonderful idea. "Somebody should do it," they said. "Somebody should do it?" I said, "Let me be the scapegoat." This is how the idea originated. So many young people worked so hard, walking ahead, finding out where to stop, what to do. It was a large thing; it was a marathon. Then, many people joined, there are people sitting here who walked. There are people sitting here, some walked throughout, they shut their houses and came out. Some left their poor husbands home and walked, and some like Matthew and Christine were with me three fourths of the walk or more, and in between that had to return to the United States. There were many people. What we noticed in this walk is that basically human nature is good. As long as it is not manipulated by vested interests, human nature is good, and especially so in the villages, and fortunately 70% of the population of India lives still in the village. It is the urbanite who creates most problems. Left to themselves, villagers want peace and cooperation, they are good people. You know it was such a hectic schedule, I had to start in the morning. I'm not blaming anybody. [laughter] I had to start in the morning at 6 o'clock, because afterwards it gets warm and it's difficult to walk. So we start at 6, and stop for breakfast on the way. Then from breakfast we would relax a bit and start walking again. By 11 o'clock we would have finished the walk by 11:30 to Noon. Wherever I stopped, I had to talk. Talk, talk, talk. "Say a few words please." That is after you fought off the garlands. You can see some pictures where I can't breathe (due to garlands). Many people didn't even know who was coming. They heard previous night, “Somebody is walking,” and everybody joined, temples, mosques, gurudwaras, churches. There was not a place where we weren't invited inside. Wherever there was a Buddhist temple, the monks walked with us. In fact, when we came to Pathankot, we had at least 100 young Buddhist monks from the Kagyu order walking with us, because my good friend, Thay Siddhu Rinpoche, was very particular that they should walk this way. Then, after lunch you would take some rest, then in the evening you would have to go somewhere, people would say "speak." All the time I started speaking, planting the seeds of harmony, bringing people together. Even though we have planted the seeds, they need a lot of follow up action before they can sprout. No seed sprouts in two days; it takes time to become a tree. More than what we gave, what we gained is a lot of knowledge and experience and understanding about the common man in India. I would say, when I started it appeared like the future of peace was bleak, but when I was finished I have full hope. We had so many interesting experiences. One time, we were walking in Delhi, between New Delhi and Old Delhi, and then the first place we went for a cup of tea was on request from a mosque, which also ran a madrasa, a school. So there was this young man with a white turban on his head. He was the teacher and also the Imam of the mosque, the one who leads the prayer. So, he gave a small talk on how we all are basically human beings, and trying to keep out things which would not go with what we were doing. It was a good attempt. And there were these little boys who were there, and he introduced them to us, and we said thank you, and I spoke to them. I was about to go, and he said, “No, no, we have asked for tea, so please have tea.” So we all had tea. Then while we were leaving, he said, "Where is your next stop?" I said, "Two kilometers after this we are stopping at a Gurudwara (holy place for the Sikhs)." He said "Can I also come?" I said, "Of course you can come." There were already people waiting there to welcome us. We went there, and I introduced him. You know, in gurudwaras, all men should cover their head, that's the rule – either you should have a turban or you should put a cloth at least, including women. The Imam could go in straight because already his head was covered with his turban. I introduced him to the president of that particular society, “This is the Imam from the mosque.” And he said, “Yes, I know him, but this is his first time here.” And they welcomed him inside. We sat down, and they did a reading from the Granth Sahib, they call it Shaabat. It so happened – this happened to us many times during the walk in Gurudwaras – that they opened that particular section from the Guru Grant Sahib, which had a prayer that included the word Allah. So the Imam leans over and asks me "Are they reading the Koran?" [laughter] It said that God first created the light and then from the light came all the living beings. I explained to him, "The Sikh religion, Guru Nanak, was attempting to bring people together." In fact, there is a place in the Punjab, beyond Jalandhar, there is a small Gurudwara and there is a river there – recently cleaned up by somebody – where Guru Nanakji sat and did a lot of meditation before he became well known. It is said he went into the river for a bath, and for three days he was not seen, so people thought he had drowned. After three days he came out from that side, and the first thing he uttered was, "There is no Hindu or Muslim – there are only human beings." There are such things. This is our tradition. Question: Could you elaborate on the purification of mind? What does it involve, and how does one achieve a pure mind? Sri M: Most difficult. It's easier said than done, but, there are ways and means. All the great teachers from time immemorial have said that there are two strands which have to come together in one's spiritual progress for purifying the mind. One is how we live in this world, very important, and the other is what do we do internally. Both things are there; they have to go side by side. You cannot say that, "I will lead as selfish a life as I want" and every evening at seven I would be in the bath, and I will watch TV all I like, and I won’t care for my neighbor who is ill, and then I will continue to meditate for two hours a day and reach a pure mind. Not possible. So, there are two strands to this. Therefore all the great teachers, including Patanjali, said there are yamas and niyamas to be followed, and these are deliberately to be followed. Don't expect the mind to get purified by itself. You have to deliberately follow a way of life in which you cause least harm to others. In fact, if possible, give good unto them. And the key here is restraint. Control. Just before you speak, think: “What am I going to say? Who am I going to say it to? Is this the right situation to say it?” You get good food, eat, but always restrain yourself and say, “Oh, maybe this could be shared by two?" [Nipun: But please, help yourself to seconds.] [laughter] Everything has to be a restraint in your daily life. If that kind of restraint is there, then slowly the mind gets purified. When you say purify, it's not as if it is dirty and is getting purified – it's disturbed and distracted. It's ruffled. It's like a rollercoaster ride. You know how daily life goes. So, if you can become less self-centered, if you can restrain, if you can control your sense organs, at least to a great extent, then automatically the mind begins to become purified. That's one, and then, as a deliberate act of developing the mind, you should find some time daily to sit down and interiorize your mind. This is also important. These have to go side by side. Whatever work you do in the outside world, do it with one-pointed attention, otherwise you cannot expect to be one-pointed when you sit 15 minutes a day, because the mind follows habit. You have established a pattern. You cannot suddenly shift it in the evening, right? This is so important. A yogi is one who drives when he drives and meditates when he meditates. Not meditates when he drives. Then, he's danger to himself and everybody on the road. Complete attention to whatever you are doing by itself is a meditation. You don't have to separate your meditation from this. The guidelines are there in all religious texts, in all teachings. In Gujarat, there was this great saint called Narsinh Mehta; he sang beautiful vaishnav songs. One of them says, "A Vaishnav is one who worships guru, the God, and who thinks of others problems as his own, and helps them to get out of their problems with the complete humility that he has done nothing." This is the way to purify. Question: Will you share a little bit about meeting your teacher's teacher, Mahavatar Babaji? Sri M: In this life, I only met him twice. Now please don't ask me after this that, "I also want to meet him." I don't know how. Neither do I hold the license. This life, I have met him only twice, and one was under very interesting circumstance. My personal teacher Maheshwarnath Babaji told me, "At some point you will have to teach people Kriya Yoga," which is our tradition. So I said, "Ok, so how? What are the qualifications?" So he gave me a list of around twenty qualifications. He said if people have these qualities, then they are ready to learn kriya. I said "Babaji, please, I cannot teach kriya. This is not going to work. You can't have these kind of qualifications in the modern world. " So you please find somebody else to teach kriya. I didn't say that, but more like, "With all due respects, I can't." We were discussing this matter and he was trying to cut down on one or two pre-requisites, and we were walking on the banks of the Ganga on the other side of the town. From there we walked up to Nilakhant, a hill up there, and in between the hill and Rishikesh, there is a mouni baba’s cave -- whenever Babaji came to Rishikesh, we lived there. We were actually going towards that direction, and I was telling him this is not possible and please don't give me this responsibility -- and then, suddenly I saw someone coming from the other side. I can't describe it to you because it's quite a sight. Somebody was coming with long hair with just a small piece of cloth tied around his waist, with no footwear -- barefoot. I have not seen anybody like that, that's all I can say. It was confirmed to me that this is Babaji because Maheshwarnath-ji, my personal Guru, prostrated before him. Maheshwarnath-ji was a tall 6'4" man, very thin and tall. I have never seen him bend his head before any person. So when I saw him fall down full prostrate, it was confirmed to me that this was his teacher, and who it was. Then he raised him up, said, "Get up" and said, "I think you should listen to this young man." Then, he put his hand on me. I can still feel it, and then he turned and started walking. I wanted to run behind him and hold him, but Babaji stopped me. He said, "You can't do it. It's not possible." Even then I was so curious because 5 minutes later I walked up to the turning to see if he was there or where he had gone, but he was not there. I didn't see him dematerialize before my eyes nor did I see him materialize before my eyes. He came in from one corner and disappeared through the other. This was one experience. The other was when Maheshwarnath Babaji was dying, I mean he was giving up his body. Babaji came again and spent some time. He made both of us hold hands together and said, "Now, part of his work is with you." These are the only two times. Both are memorable for me. Hari Om. Tat Sat. Thank you very much. Question: How can we help and support this movement? What do you recommend that we do? Sri M: You keep going together with everybody. We have an ancient sloka from the Rig Veda. [chanting] Walk together, move together, put your minds together and understand. You’re already doing it. Keep doing it. Keep doing it. It’s the greatest thing that one can do. I pray to Babaji for blessing you all.